Choosing a lead capture app to use at events and trade shows can be a minefield if you don’t have everything you need to make an informed decision. How will you know whether the app you’re looking at will do what you need – and what your events team want? To help you choose a lead capture app that meets your organisation’s requirements, I’ve put together a list of questions that will help you understand the functionality, features, customisability and ease of use when evaluating different apps. When comparing lead capture apps, you want to be confident that the one you choose will fit in with your existing tools and systems, and be easy for your event reps to use on the stand. Flexibility and ease of use are important things to look out for. 1) How can I capture leads? This is probably the most important question to ask. Some apps are designed to be used for just one type of lead capture, such as manually filling in a form. Others enable you to capture leads in a variety of different ways, such as scanning business cards and attendee badges. While you might think that your team only uses one method of lead capture, is that true across all your events? It may be that at the big trade shows your team scan badges, but at small events they collect business cards. Consider how a lead capture app can be used at all your events, not just the biggest in your event calendar. 2) Does it integrate with our systems? One of the main reasons people look for lead capture apps is because it takes them too long to type up their leads after a trade show, and their follow-up is delayed as a result. To cut down your follow-up time, you need a lead capture app that can integrate with your existing systems – your CRM and your Marketing Automation systems – so your lead data automatically flows into your existing tools and systems. This will save a lot of time normally spent on manual data entry, or tidying up data before you can import it. 3) Will it still work if we’re not connected to the internet? We all know that the wi-fi at trade shows is notoriously unreliable. It might work fine for the first hour, but then drop out when attendees start to arrive in earnest. When you’re comparing lead capture apps, take some time to understand how each one works if it’s not connected to the internet. Some will work just fine, some will have limited offline functionality, and others will stop working altogether. 4) Do I have to ask the same questions for each event? You likely exhibit at lots of different events. It won’t always make sense to ask the same questions at each event – some may be huge, industry-leading trade shows where you speak to hundreds of people for just a few minutes each, and others may be smaller-scale events where you’re able to have more in-depth conversations. When choosing a lead capture app, it’s important to know whether you can use different forms (or different sets of questions) for each event, or whether you’ll have one standard form to use at every event. 5) Can I make changes myself? If you’re fairly tech-savvy, it may be important that you’re able to make changes to your lead capture form (such as questions or design) yourself. This can make your lead capture app extremely flexible, and mean you can easily tailor forms to each event. Alternatively, you may prefer to have a customer support team in place to make all those changes for you. It’s important to consider whether the solution you’re looking at enables you to make changes to the form yourself – and if it doesn’t, whether you’ll have to pay extra for the support team to make those changes for you. 6) Can I customise it? How much can you customise the overall look and design of the app? Will it look like your own branded lead capture app, or will it obviously be a third-party piece of software? Your marketing team will likely be very interested in this from a branding perspective. It’s also worth considering how this will look to potential customers when your reps speak to them at your event booth or stand. Some event lead capture apps are fully customisable and can be designed in-line with your company’s brand guidelines, but others offer more limited branding and design options. 7) Will it help me comply with GDPR? Traditional lead capture methods such as collecting business cards in a fishbowl struggle to comply with new regulations. 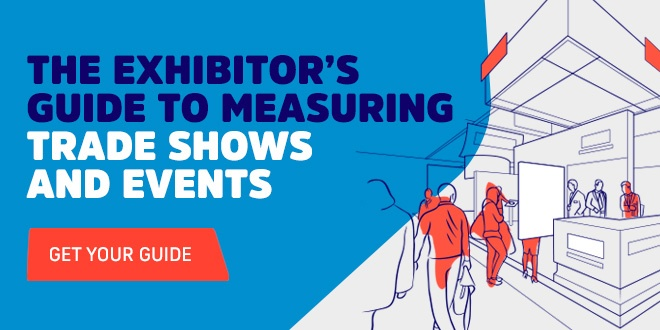 GDPR has made events organisers and exhibitors think hard about the way they collect, store and process people’s personal data during events. When comparing lead capture apps, consider how easy each one will be to set-up so you capture explicit opt-in consent from event attendees, to help you comply with current data protection regulations. 8) How does the cost compare to my current lead capture spend? When budgeting for a lead capture app, consider all of the costs associated with your current lead capture processes, including hiring numerous badge scanners at each trade show, time and people required to transcribe lead capture forms or business cards. 9) How many events will I use it at? This is a question to ask yourself, not the app supplier. Are you looking for an app to use at all your events, or will you just use it at your busiest trade shows and congresses? If you’ll use it at a larger number of events, it’s likely you’ll need an app that offers greater flexibility in terms of form set-up and design, and lead capture method. Alternatively, if you’ll only use it at a handful of similar style events, you’ll likely have simpler requirements.